GUD (pronounced “good”) is a print/pdf magazine with two hundred pages of literary and genre fiction, poetry, art, and articles. Modern in business, method, and execution, but timeless in message, GUD is published twice a year, for your reading pleasure. GUD is FOR THE WRITER or ARTIST. A simple submission process, and the potential to earn royalties. Our issues never go out of print. GUD is FOR THE READER. We print the best of the best. Our business model is built for artists and consumers, not for ourselves. And GUD is flexible—buy the whole magazine or a single .pdf of the story, poem, artwork, or article you just have to have. Nebula Recommendation (Night Bird Soaring by Traci Morganfield, Issue 3). BSFA Best Short Fiction Recommendation (ditto). We publish reviews of books and magazines on our site. Information provided by Debbie Moorhouse. 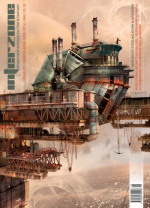 LCRW is a paperzine — although we’ve been selling ebooks (on our site and fictionwise.com) for a couple of years now. We’re also going to go back and release the back issues as ebooks in the near future (i.e. when Fictionwise catches up with its submissions!). When I started the zine, it was in frustration at not being able to find the kinds of things I wanted to read. This isn’t true any more, but as long as we get great stuff in the mail, we’ll keep publishing. Small Beer Press publishes 4-6 books a year but it’s fun to keep things simple with LCRW. It basically pays for itself, no small feat for a magazine of any size. We do black and white covers and legal sized paper because it’s affordable and a good page size. LCRW was a Hugo nominee a couple of years ago, that was fun. Various stories have been reprinted in various year’s best anthologies. Editor(s): The editorial team has changed over the years. 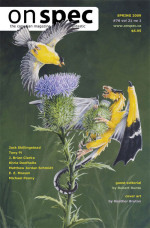 Current for 2009, we have Diane Walton as the Managing Editor, Barb Galler-Smith (Fiction Editor), Susan MacGregor (Fiction Editor), Ann Marston (Fiction Editor), Robin Carson (Copy Editor) and Barry Hammond (Poetry Editor). Our quarterly journal On Spec adheres to a strong mandate that has served us well over the years. We discover and showcase quality works by predominantly Canadian writers and artists, in the genres we call “Speculative and Fantastic” literature. We foster the growth of emerging writers in this genre, by offering support and direction through constructive criticism, education, mentoring, and manuscript development. We try to publish as many new writers as possible, alongside works by established writers, and we also endeavor to support these writings with innovative cover art for every thought and emotion-provoking issue! We pay $50 to $200 for short stories (maximum 6,000 words) and poetry. As a member of Magazines Canada, we are currently undertaking an endeavor to offer our issues in a digital format to download through Zinio. 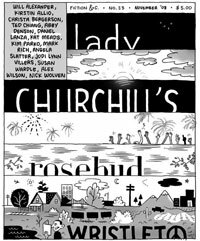 In 1989, a small group of Edmonton writers formed The Copper Pig Writers Society in order to fill a niche in Canada. At the time, there was no paying market for literary works that the major American SF & Fantasy magazines deemed to be too “alien” for their audiences. English-speaking Canadian SF writers were frustrated with having to “Americanize” their stories for the paying markets. We knew there was an audience hungry for thoughtful, intelligent (often unconventional) SF and Fantasy with a uniquely Canadian perspective. After selling out our initial print run of a test issue filled with stories sent to us by invitation, we began receiving inquiries as to when the “next one” would appear. That was nearly twenty years ago! “The ABCs on how NOT to write speculative fiction” seminars. Our editors have presented at the Canadian Authors Association (CAA) Edmonton Branch and Edmonton Youth Week in 2009. We also have a MySpace account and “I Read On Spec” Facebook group and a Facebook Fan Page. substantially the same since the first issue. Contributors to the magazine have included Brian Aldiss, Eleanor Arneson, Brian Attebery, Gregory Benford, Michael Bishop, Jenny Blackford, Russell Blackford, Damien Broderick, John Clute, F. Brett Cox, L. W. Currey, Samuel R. Delany, Candas Jane Dorsey, David Drake, L. Timmel Duchamp, Andy Duncan, Kathleen Ann Goonan, Joan Gordon, Howard V. Hendrix, Gwyneth Jones, Michael Kandel, James Patrick Kelly, John Kessel, David Langford, Justin Larbastier, Rob Latham, Jonathan Lethem, Richard A. Lupoff, James Morrow, Larry Niven, Patrick O’Leary, Rebecca Ore, Alexei Panshin, Daniel Pinkwater, Charles Platt, Frederik Pohl, Rachel Pollack, Paul Preuss, Kit Reed, Bruce Holland Rogers, Rudy Rucker, Jessica Amanda Salmonson, Darrell Schweitzer, Deliah Sherman, Tom Shippey, Graham Sleight, Brian Stableford, Michael Swanwick, Jean-Louis Trudel, Alice K. Turner, Jeff VanderMeer, Ian Watson, Don Webb, Janine Webb, Gene Wolfe, Zoran Zivkovic, and many others. NYRSF is a winner of the Readercon Small Press Award; NYRSF been nominated for the Hugo Award every year of its publication since 1989. For 19 years, there has been a reading series associated with NYRSF: The New York Review of Science Fiction Reading Series has showcased some of the most prominent and upcoming authors in the genre. However, the series’ commitment to providing a venue as an ongoing science fiction reading series in New York City, is open to all works of speculative fiction, whether they be works of fantasy, magical realism, horror, or science fiction. The range of writers who have participated in the series speaks of not only of its diversity, but its quality as well. Jonathan Carroll, Susanna Clarke, Samuel R.
Delany, Ellen Kushner, Ursula K. Le Guin, Jonathan Lethem, Patricia A. McKillip, Walter Mosley, Naomi Novik, and Peter Straub are among the authors who have participated. The reading series typically showcases two authors, once a month. Information provided by Kathryn Cramer. Established: Originally founded in 1923; relaunched spring 1988. 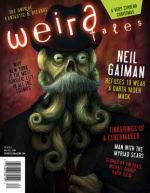 Weird Tales has enjoyed a devoted following for many decades as the very first magazine of strange fantasy, science fiction, and horror. Founded in 1923, the pioneering publication introduced the world to such counter-culture icons as Cthulhu the alien monster god and Conan the Barbarian. Weird Tales is well known for launching the careers of great authors like H.P. Lovecraft, Ray Bradbury, and Robert E. Howard — heck, Tennessee Williams made his first sale here! — not to mention legendary fantasy artists like Virgil Finlay and Margaret Brundage. The magazine’s influence extends through countless areas of pop culture: fiction, certainly, but also rock music, goth style, comic books, gaming… even Stephen King has called Weird Tales a major inspiration. World Fantasy Award 1992: Special Achievement/Professional, editors Scithers & Schweitzer. Year’s Best Fantasy & Horror: many Honorable Mentions over the years. “Bufo Rex” by Erik Amundsen, WT, #347 was selected for Fantasy: The Best of the Year 2008 and Best American Fantasy 2008. 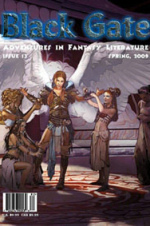 “The Difficulties of Evolution” by Karen Heuler, WT, #350 was selected for Fantasy: The Best of the Year 2009. Current 2009 nomination — Hugo Award, Best Semiprozine, editors VanderMeer & Segal. Current 2009 nomination — Prix Aurora: “All In” by Peter Atwood, WT #351. Weird Tales has an active website that publishes original material ranging from fiction (web exclusives as well as print selections) to artwork (e.g. Steven Archer’s year-long Lovecraft series “365 Days of Blasphemous Horrors”) to nonfiction (assorted blog mini-series like the recent two-week-long Sandman 20th-anniversary retrospective). 2008 saw our debut Spam Fiction Contest, wherein writers turned email spam headlines into weird flash fiction. Learn more at our “2008 year in review” web page. Information provided by Stephen H. Segal. 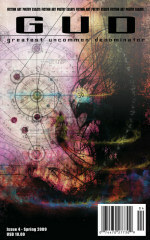 Black Gate publishes epic fantasy fiction at all lengths, including novel excerpts, as well as articles, and reviews. We’re looking for adventure-oriented fantasy fiction suitable for all ages, as long as it is well-written and original. The magazine publishes all kinds of fantasy. Nobody wants to open up a magazine, especially a big magazine like Black Gate at 224 pages, and read only one kind of fantasy, so we try to cover everything. Do we have a focus? Yes – about 70% of what we publish is adventure-oriented fantasy. Does that mean a lot of sword fights in fantasy? No. It means that we’re looking for stories with a lot of dramatic tension. A good, rousing climax. Something based on the basic rules set down by Aristotle two thousand years ago, the three acts of drama. You’ve got to have an introduction, introduce your characters. You’ve got to get your characters to a point where your audience is convinced they cannot succeed. And then they have to succeed. We want fiction with a more exotic setting. Most of what we see has a very familiar setting. Generic Middle Ages. It starts off in a tavern with a ranger and a bard and a half-orc having a conversation. I want more originality than that. You need to grab the reader on the very first page. It’s tough to do that with character, because character needs to be developed. It’s tough to do that with plot, because any plot that’s simple enough to grab me on the first page probably isn’t complex enough to maintain my attention. It’s easy to with the setting. If you’ve got an innovative, dynamic setting, then you’ve got my attention on the first page. You’ve got my reader’s attention, and that works. “Awakening” by Judith Berman was nominated for the Nebula and several stories have been reprinted in Year’s Best anthologies. Editors: Robbie Matthews: Senior Editor. 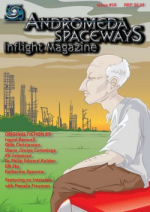 Editorship for each issue is rotated among members of the Andromeda Spaceways Publishing Co-op. ASIM’s mission is to support Australian speculative fiction, and to provide a venue for stories that sample the ‘lighter side’ of specfic. Although we’re an Australian magazine, we have subscribers worldwide (well, almost worldwide: we’re still struggling to crack the lucrative Antarctic market) and our authors are also scattered far and wide. A typical ASIM issue (if there is any such thing) will contain roughly equal quantities of stories by local and international authors, ranging from frivolous space opera to grim and gritty dark fantasy. We’re available in both print and PDF editions, and publish bimonthly. We’re a paying market, offering 1.25 Australian cents per word. And we’re justifiably proud of the reputation our slush-handling system has achieved – doing right by our authors, whether their stories make it into the magazine or not, is something we’ve worked damn hard at. …and we think there’s been a Tin Duck or several in there somewhere, too. In lieu of payment, Co-op members receive virtual gold star performance bonuses, and staff discounts on interstellar travel. Information provided by Felicity Dowker.